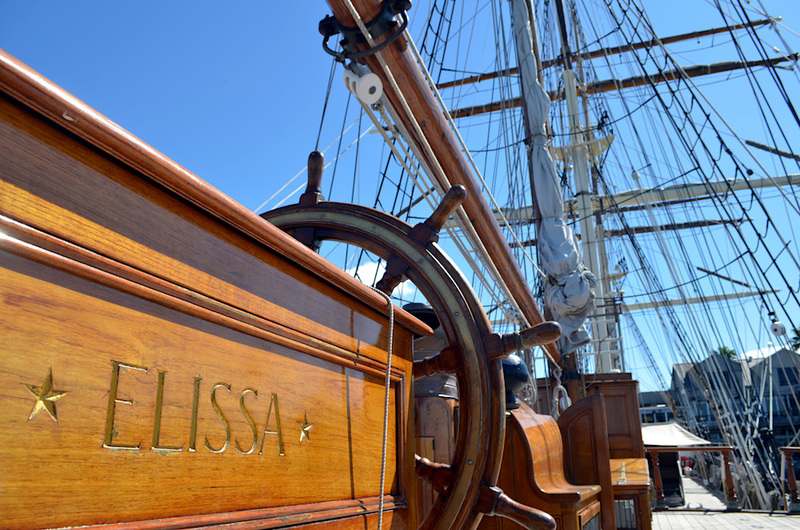 Explore the decks of the 1877 Elissa tall ship and Texas Seaport Museum for an experience unique to Galveston. Moored in the Galveston waters along Pier 21, you’ll find the masts of the Elissa tall ship towering over the docks outside the Texas Seaport Museum. Completed in 1877, the Elissa sailed the world for more than a century, delivering goods to ports ranging from Mexico and England to Australia and India. 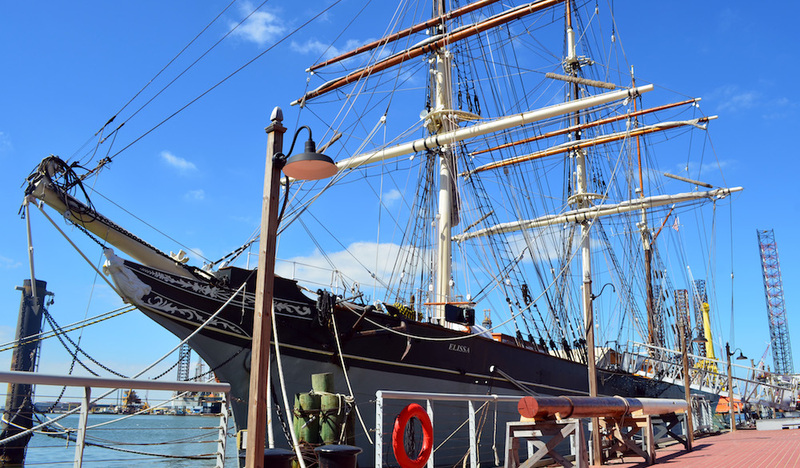 One of the oldest active sail ships in the world, it now rests next-door to the Seaport Museum which expands the visiting experience by diving into the history behind Galveston’s role as an immigration and commerce hub. 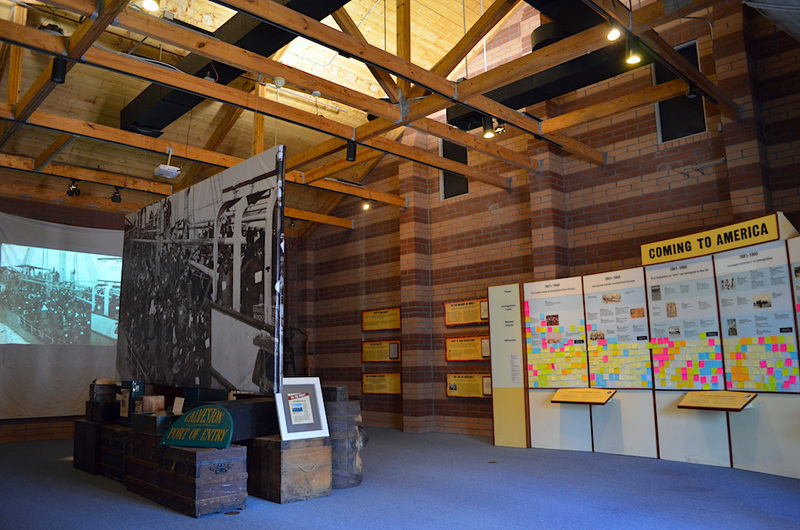 Once inside the Seaport Museum, visitors learn how the “Ellis Island of the West” welcomed more than 130,000 immigrants during the 19th and 20th centuries. Guests are also encouraged to use the museum’s computer database to search for names of immigrant ancestors. 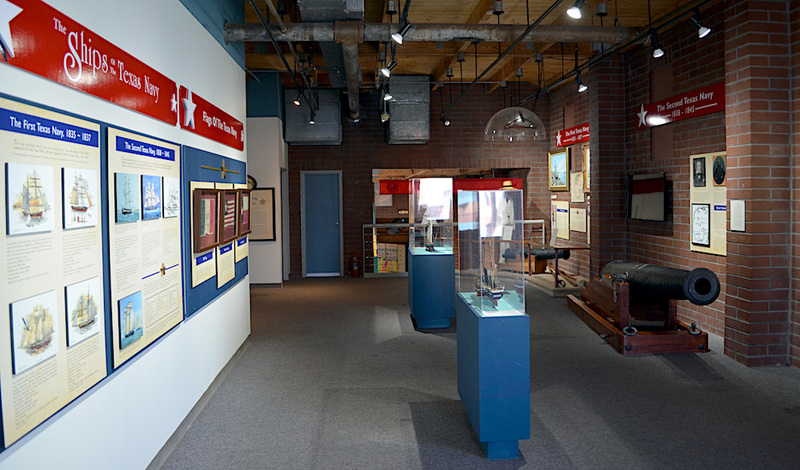 An upstairs gallery tells the story of Galveston’s commercial and naval importance through archival photographs and artifacts, such as a ship cannon used by the Second Texas Navy in the mid-1800s. Finally, a downstairs theater features a brief documentary about the remarkable story of how the Elissa found its way from a salvage port in Greece to the port of Galveston. Today the ship is designated a National Historic Landmark and one of America’s Treasures by the National Trust for Historic Preservation. 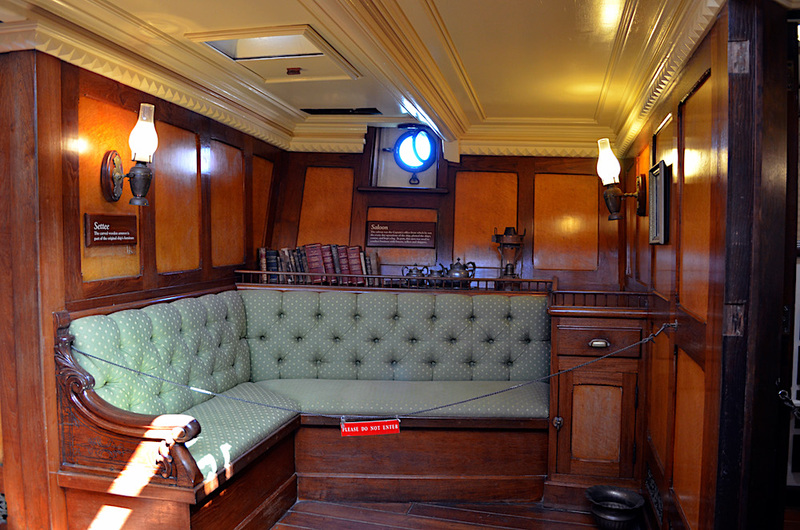 Built by Henry Fowler Watt in Aberdeen, Scotland, the Elissa served a niche purpose in an age when steamships had already begun replacing commercial sailboats. Even so, the Elissa would thrive, spending the next century shipping cargo around the world before its life as a freighter came to an end in Piraeus Harbor, Greece in the 1970s. As it sat deteriorating in a salvage yard, the Galveston Historical Foundation swooped in to purchase and begin renovations to the damaged hull for a trans-oceanic tow to Texas. After two years of repair, it finally completed its voyage back to the port of Galveston, But its days of sailing certainly weren’t over. With monthly sea trials, tall ship races, and port festivals, it remains one of the world’s oldest sailing hulls in operation and is maintained year round by a crew of hardy volunteers. Ducking your head through the narrow passages aboard the Elissa, you can easily imagine the challenges facing crews crossing the waters of the world within these cramped quarters. As you pass through the ship, your self-guided tour comes to life with historical context that helps one understand life in the confined belly of the ship, maneuvering 500 tons of cargo across the Atlantic in 1883. And, when paired with the Seaport Museum, visitors may leave appreciating the lengths gone through to save and restore a ship that has withstood over a century of waves at its hull. Take a moment up top to admire the three masts and nineteen sails that stretch into the sky. And be sure to meander down to the stern-side of the ship for a photo opportunity at the ship’s wheel. Guided tours are available for groups of 20 or more. Contact Susan Vanderford for information on scheduling and additional group programming. Both floors of the Seaport Museum are wheelchair accessible but the Elissa is not. Some steps may pose issues for those with physical disabilities or challenges, as steps can be narrow, steep, or tricky. Contact the Seaport Museum if you feel you may need an accommodation or are uncertain about members of your party. Hours: 9am to 6pm (Summer); 10am to 5pm (Winter). Last tickets are sold one hour prior to close. Admission: $12 for adults; $9 for ages 6 to 18; free for ages 5 and under; free for members of Galveston Historical Foundation. Click here for more information. Next articleBrewery Spotlight: Baileson Brewing Co. in West U.